The Encyclopedia of Christianity Online describes modern-day Christian beliefs and communities in the context of 2000 years of apostolic tradition and Christian history. Based on the third, revised edition of the critically acclaimed German work Evangelisches Kirchenlexikon. The Encyclopedia of Christianity Online includes all 5 volumes of the print edition of 1999-2008 which has become a standard reference work for the study of Christianity past and present. 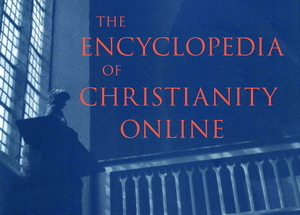 Comprehensive, reflecting the highest standards in scholarship yet intended for a wide range of readers, the The Encyclopedia of Christianity Online also looks outward beyond Christianity, considering other world religions and philosophies as it paints the overall religious and socio-cultural picture in which the Christianity finds itself. Author(s): Padberg S.J., John W.
Author(s): Baumann, Arnulf | Boraas, Roger S.
Author(s): Mayer, Günter | Dorff, Elliot N.